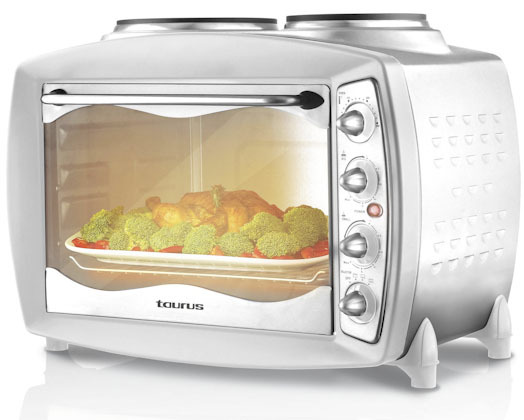 The Petita Estufa mini oven from Taurus combines practical use and elegant design. With a massive 28L capacity and stainless steel body the Petita Estufa is not only durable but able to cook an entire meal for the entire family all in one go. ||The Petita Estufa has a glass & stainless steel door with 4 stainless steel heating elements, 60 min timer for convenience cooking and variable temperature control selecter for both plates. Glass/stainless steel drop down door.